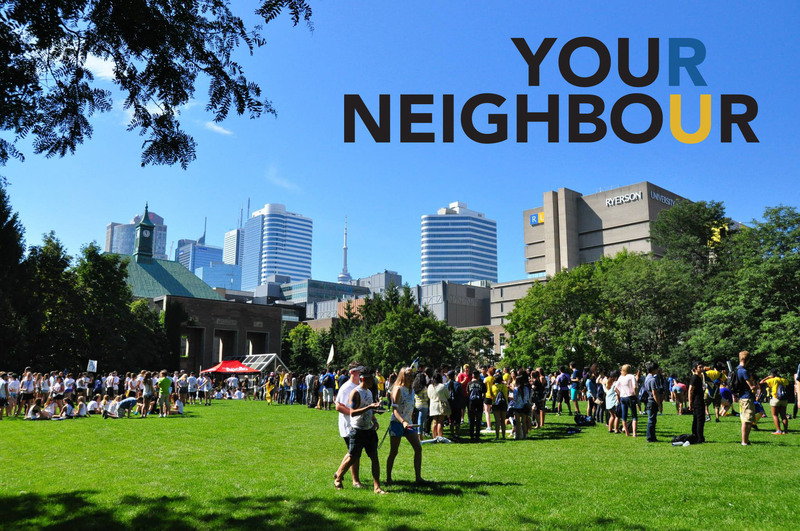 On August 27th, 2015, Ryerson Housing & Residence Life student leaders participated in a day-long learning experience called Your Neighbour, focused on Ryerson’s values from the university’s Academic Plan. *NOTE: Learning Outcomes were guided by Bloom’s Taxonomy. To read more about the Your Neighbour program, including its design, how the day worked, the results of its assessment, and feedback from participants, please visit www.RyersonStudentAffairs.com for the full article. …The Your Neighbour experience continues to echo in our residence halls. We have referred to it beyond our training program, heard even more about it from our student leaders, and some student leaders have begun to develop their own experiences off campus to share with their communities. Our hope, and the next phase in the winter, is that Your Neighbour evolves into smaller community projects in and outside of residence that will further all of our students’ out of classroom experience, and influence a culture of philanthropy with the understanding of our values—that we are members of the residence, Ryerson, and Toronto communities. The next incarnation of Your Neighbour, however, will include all of our LLC students participating in an experience similar to the August 2015 program with the Residence Life Team, that begins their year off integrating into the new communities they are a part of in residence, at Ryerson, and in Toronto, before all of our students move into residence August 28, 2016. If you have any further questions about our Your Neighbour program, please don’t hesitate to contact us!